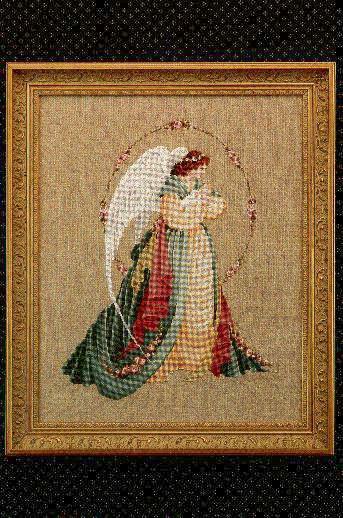 A protective angel in gold and green carries a tiny baby in her arms. Stitched on 32 count Natural Linen (2 over 2) from Wichelt. 11 1/4" x 14 1/2"